Call back time was very reasonable and the service center was very friendly and answered all my questions. Shop for wheelchair vans from one of the top dealers in the nation right from the comfort of your living room in Lawrence, Kansas with the AMS Vans buy-from-home program! We'll pair you with one of our skill mobility consultants to support you throughout the sale. When everything has been arranged, you can pick any of our affordable delivery options and have your vehicle brought right to your front door in Lawrence, KS or the surrounding area. Arrange to have one of our professionals drive your handicapped van to your home in Lawrence, Kansas, and then, fly back. Because the trip from our office to the Lawrence, KS area is almost 850 miles, you can also choose to have our professional drive a truck and haul your adapted van on a flatbed trailer rather than driven, saving mileage on your odometer. If you prefer to get your accessible van home as economically as possible, you're more than welcome to come to our headquarters in Atlanta, GA to take possession. In fact, in most cases, customers who travel from Lawrence, Kansas qualify for a discount off the purchase price when they choose to pick up their vehicles. Learn how to use your van before you take charge of the keys with our signature "White Glove Service". 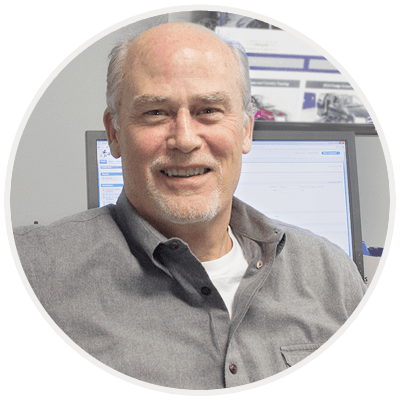 With every pick-up and delivery, our mobility professional takes the time to show you how to use all the equipment on your vehicle--from adjusting the seats to lowering the ramp--along with the safety features on your van, and answer any questions you have. 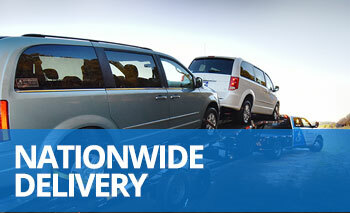 At delivery, we back our handicapped vans with a total satisfaction guarantee. When you take possession of the vehicle, if you aren't completely happy with your vehicle, we'll take it back to our headquarters, end the sale, and reimburse your payment. Before you make a commitment, if you'd like to hear from your trusted mechanic in the Lawrence, Kansas area, we're more than willing to meet you there and wait while they do a diagnostic check. Adapted vans from AMS Vans are great fits for personal use, but they can also be profitable for commercial use as accessible taxis or non-emergency medical transportation. With optional accessible equipment, such as electronic wheelchair lock-down systems and jump seats available for installation, our wheelchair van conversions can be tailored to suit almost any purpose. Pick up the phone and call 800-775-VANS (8267) now to speak to a consultant about your options for enhanced mobility. We'll assess your exact accessibility needs and search our inventory of handicap vans for sale for several choices that might interest you. After you decide, let us know, and we'll handle all the details while you stay home and relax in Lawrence, KS. It has been our mission since we started in 1999 to help every person needing a high-quality, low-cost accessible vehicle, and we hope to deliver one of our wheelchair vans to your home or office in Lawrence, Kansas in the near future.